On 5 September 2010, say sorry to seek forgiveness from and grant it to each other. Share your experiences, stories or images/videos on the Say Sorry Day Facebook page, or on Twitter using the #iamsorry hashtag. Also come check out a forum and a performance at The Annexe Gallery, Central Market on this Friday and Saturday in conjunction with the Say Sorry Day campaign. When we do wrong – whether intentionally or not – we cause hurt both to ourselves and others. Saying sorry is taking the first step in the healing process for both parties. 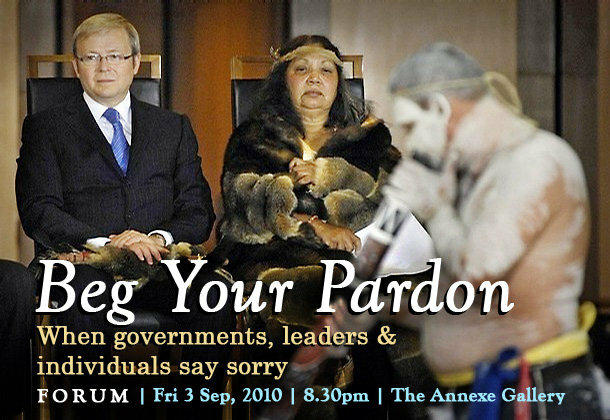 5 September 2010 as Say Sorry Day. Everyone – in Malaysia and beyond – is encouraged on this day to seek forgiveness from and grant it to each other. 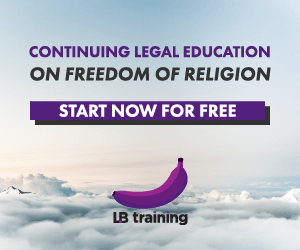 That this is the holy month of Ramadhan makes Say Sorry Day even more significant, as Hari Raya Aidilfitri – held to celebrate the end of the fasting month – is deeply associated with the spirit of apologising and forgiveness. However, this spirit is not just embraced by our Muslim brothers and sisters; it is also universally acknowledged and encouraged by all major spiritual traditions. The inspiration for Say Sorry Day is a young Malaysian, Yong Vui Kong, who was only 18 when he was arrested for drug trafficking in Singapore. He is currently appealing for clemency, but he may still be hanged and not get a chance to redeem his wrongs. Many Malaysians and Singaporeans have campaigned for him to be granted a second chance because they believe in forgiveness. Vui Kong has apologised and hopes to be given the chance to share his life lessons with others and help Singapore fight the drug barons. Whether our transgressions are significant or minute, we all need forgiveness – sometimes we need to seek it, and other times we need to give it. It is this seeking and giving that frees us. Say Sorry Day is a joint initiative between the Annexe Gallery, Council of Churches of Malaysia Youth, Islamic Renaissance Front, the Save Vui Kong Campaign and the Young Buddhist Association of Malaysia. AMIR MUHAMMAD, critically-acclaimed filmmaker-writer, shares a montage of clips from old Malay movies featured in his new book 120 Malay Movies. ANNE JAMES & JO KUKATHAS, award-winning theatre actors, re-enact a scene from the play Cuckoo Birds. BRIAN GOMEZ, writer (Devil’s Place, What Do Gay People Eat? ), reads from his new short story, written for specially for the occasion. HISHAMMUDIN RAIS, non-governmental individual, writer and former ISA detainee, does his infamous stand-up routine. I-SOUL, Chinese-language band, offer us acoustic songs on the theme. LIYANA FIZI, popular singer-songwriter, sings apologetic original songs. PANG KHEE TEIK, Annexe Gallery arts programme director, just wants to say sorry to everyone. The Commonwealth representing the neo-Colonial forces of the day especially need to SAY SORRY to ALL the nations they occupied and plundered over the last few centuries. The Commonwealth is a relic of the Colonial Era and ensures the hegemony of the half German Saxe-Coburg-Gotha (renamed Windsor during the world war to prevent popular British uprising, and IMHO return of power to the most viable heir of House Hanover instead of the Paternal side Germans posing as a anglo-saxon monarchy) and indirectly the wealth of the world. The Head of the Commonwealth ALWAYS will be a the Monarch of the Saxe-Coburg-Gothas and will always be head quartered at England, thus it does not represent cultural diversity or religious diversity but Caucasian and nominally Christian HEGEMONY. 4) via attacks on important ethnic lineages capable of challenging the dominance of the Monarchy intended to be the only surviving monarchy of the world, intent on destroying all others. India take note, value your Maharajas as cultural bastions against 'White' culture. QUOTE " a weaponless (no right to bear arms), atheistic people of INDETERMINATE RACE (from promiscuous interbreeding), easier to control, convert and proselytize to, market to, or even conquer than an armed and unique culture with CLEARLY DEFINED SPIRITUAL LINEAGES that are headed by one their OWN Race . . . " UNQUOTE. QUOTE " Let us hope that 'Soft Aggression' via this 'Melting Pot Method' against Races, Culture and Religion will not be the next phase of mankind's mode of attack and display of cruelty, there are some who are use 'Pick and Choose' that are motivated less by self seeking and more by 'soft' conquest . . . " UNQUOTE. Note that the some Malay lineages have already been infiltrated, and also the current descendent of the Confucius lineage has already by colonised by Caucasian blood. Should the next generation of these 'Eurasians' no longer of pure blood ethnicity being 50% Caucasian and marries a Caucasian, this unnoticed attack on these unwitting lineages would have succeeded, effectively ending the lineage. The luxury of mixed race marriages cannot be afforded to or indulged in by certain classes of persons (how would a half Chinese Sultan feel to Malays??? ), will not be tolerated (even upper class society frowns on unnecessary mixing as an attack on ethnicity), as the death of Dodi Fayed and Princess Diana proves, this similar form of lineage attack will not be tolerated by the English either. A half Arab English Monarch would be inconceivable, so the rest of the story you already know. UN thus far does not, though Non-Aligned Movement might take UN's role to acheive this in time, IMF has bankrupted many South American and South East Asian nations, NATO is a thrat to the stability of the Middle Eastern region and even Russian interests in a provocative manner. So HOW can the Commonwealth represent anything but a grip on trade headed by the half-English Monarch without causing a 'Cultural based Conflict of Interest' and symbolise neo-colonialistic ambitions? SAY SORRY TO THE WORLD AND SEND REPARATIONS IMMEDIATELY. RETURN THE STAR OF AFRICA, AND THE STAR OF INDIA AND THE TREASURES OF THE SUMMER PALACE! hey OMG, that’s my birthday lah. U celebrate my birthday ke?